One year into a steady meditation practice with Paul Muller Ortega- founder of Blue Throat Yoga I realized that some subtle shift had happened. I had gone from being someone who meditates to a mediator. All my grown up life I had been searching for this seemingly magical practice that seemed to elude me- meditation. Now, I know I am playing with words here in the title- which I love to do- but there is a subtle nuance to one word over the other. I started “meditating” at age 15 in an exchange program to Japan. 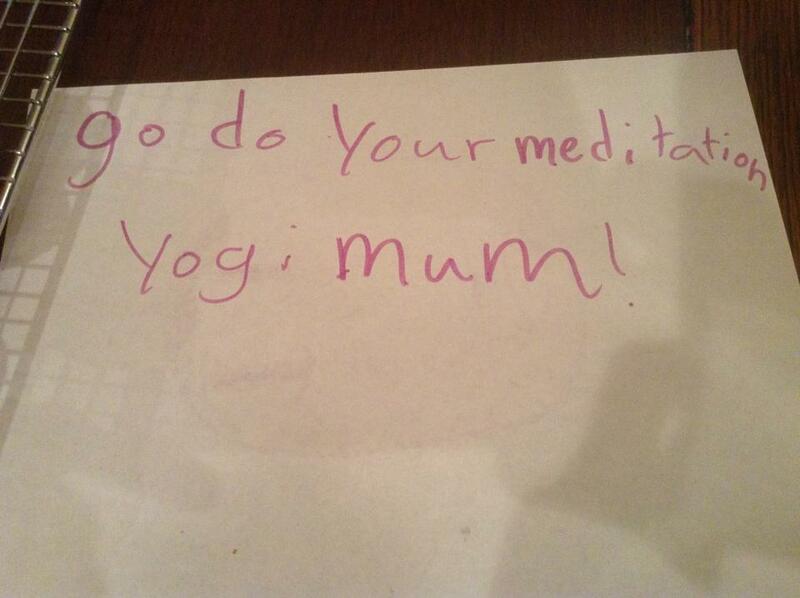 Sitting zazen for an hour without slumping, fidgeting or falling asleep was a great accomplishment at that age. I loved the stillness of the room, the anchoring depth that seemed to permeate the surroundings- I loved the quiet. I still would get the paddle on the back once in a while as my posture started to crumple, but for being so young I could at least focus for more than 5 minutes! The things I did not love about sitting zazen were my achy knees, sore shoulders and the seemingly impossible task of trying to empty my mind. I tried to empty my mind until it hurt, then I was told to stop trying…but try to stop the unstoppable pulsation of dancing thoughts! I would put them on clouds, I would consider some koan (the effort to “solve” a koan is intended to exhaust the analytic intellect and the egoistic will), I would yell at them to go away , I would try not to try and so on and so on. In order to sit I needed the perfect seat, the perfect quietness, that perfect moment…. and so I didn’t sit much. I tried. I really did. I knew from the few split seconds when things had lined up that there was something there of value. 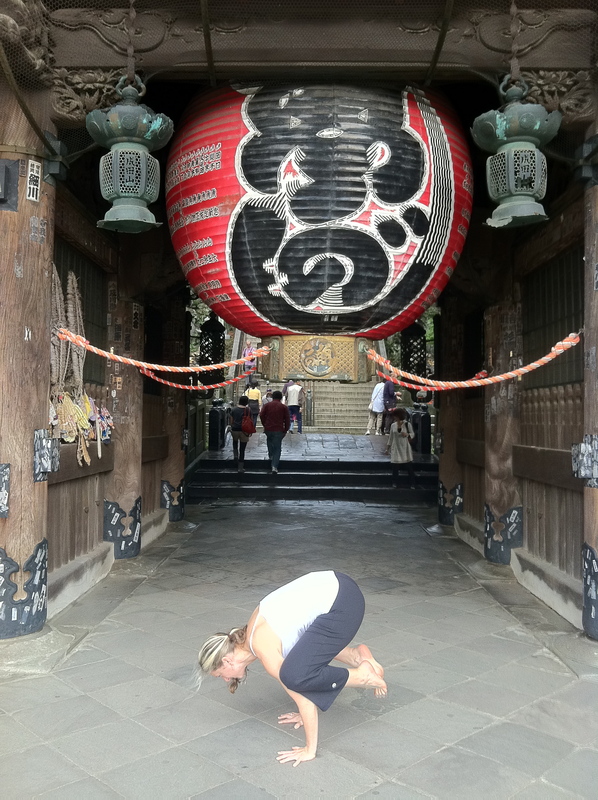 As I got into yoga, I thought it would be the catalyst to my meditation practice that I had been seeking…maybe it would help me empty out better, still my mind more. Because it did say in the Yoga Sutras that “yoga is the cessation of the fluctuations of the mind- yoga chitta vritti nirodhah”. There it was! I just needed to open my body through asana and study philosophy to be able to sit perfectly and empty out my mind…no… not empty out now…cease the “vrittis” … STOP my monkey mind. So I started down a new path and still my knees would often hurt and my upper back would ache and my undisciplined monkey mind would jump around…the vrittis swinging from one thought vine to another in the jungle of my chaotic, though sincere, mind. Failure once again. In 2011, I met Paul for the first time. Many of his first students of Blue Throat Yoga were dear friends to whom I looked at with a sense of wonder about their groundedness, their depth. Something about each of them spoke to my deeper soul of something that I knew was there but veiled inside of me. After so many sincere starts and frustrated stops, I put my trust in what resonance came from these individuals and once again I jumped into meditating. Now Paul’s approach is from the schools of Abinavagupta of Northern Kashmir- Tantric schools that used mantra as the tool to open ourselves to consciousness. In a very simplistic explanation, the Tantrics saw the whole world as pulsing vibration- everything in motion at different speeds of vibration. This sounded quite radical in 12th century India but we know now that this early understanding can be validated through science as the fact that all matter is composed of atoms… which are vibrating. Everything is vibrating. Consciousness is vibrating…it is moving, pulsing, dancing at every moment. The mantra is like learning the secret rhythm of the dance of conciousness- it lets you step into the dance in an effortless way- like ballroom dancers suddenly changing partners without missing a step. It becomes a gateway that takes you into the dance and then as the mantra continues to swirl around at the surface mind, changing partners with your thoughts, part of your consciousness begins to sync itself into another vibration lying just below that one, and then another, and then another…ever more subtle layers of depth until part of your mind is no longer dancing , no longer moving, but sitting in vibrating stillness….the vrittis have ceased. In my experience, so far, there is still thought. The thoughts are the surface of the wave like ocean of the mind but the mantra becomes like a weight belt gliding you gently to the sandy stillness of the bottom of that ocean. Unfortunately, when part of my consciousness realizes I have touched that still, quiet depth it often shoots me back up to the waves. Rather than taking this as failure however, I have come to understand through Paul’s teachings, that this is the normal pulsation of consciousness. We continue to sit and sure enough the mantra starts to carry us down once more. One of the main things I have learned about meditation since taking on this practice is that nothing needs to be perfect to practice. Sore knees? Sit in a chair. Tired back? Sit against a wall. Noisy setting? Just favor the mantra- the world around you disappears almost in the stillness of the sinking depths. I have meditated now almost without fail twice a day in cars, planes, airports, parking lots, doctor’s offices, bathrooms, far from “perfect” settings. Legs in lotus, half lotus, stretched out, in a chair, on a bench, on the grass, in a temple….whatever I need to do that day to get my body to just sit comfortably. Blessings to my zazen roots but it was never “comfortable”. I tell my students you can’t let your mind settle if your body can’t- go sit in a chair- corner of the room….stretch your legs out!! I see the same look of relief that must have passed over my face the first time I saw Neelankantha meditators in chairs…it almost makes me giggle. The discipline in meditation is not how you sit but that you sit. Regularity over time is what brings you from meditating to meditator. My alarm goes off at 6am and I stumble to my morning seat ( I wedge myself into a couch corner…) like I am being magnetically pulled there. My consciousness is thirsty and the only thing it wants to drink is the nectar of practice. It really is the most wondrous thing. A gift really….a very precious gift that just was waiting inside to be unveiled. Even my family supports my practice! 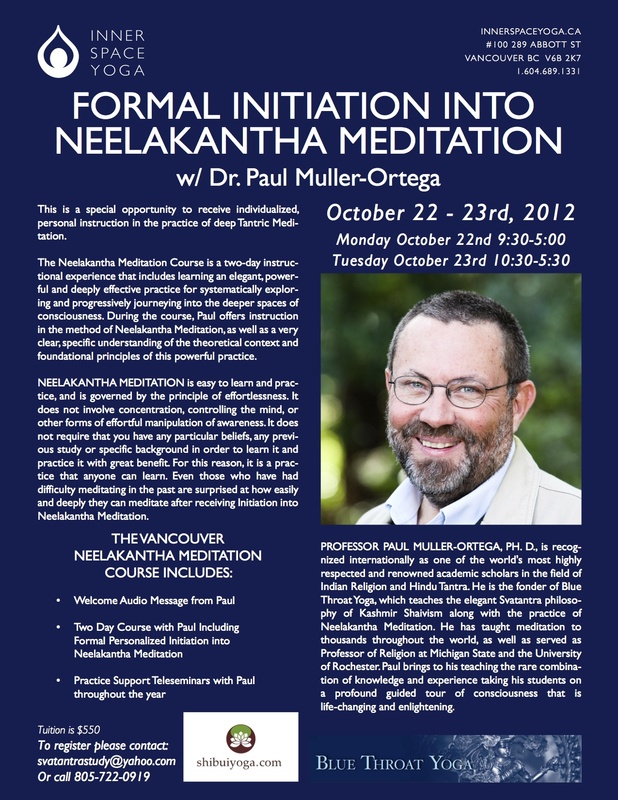 Paul Muller Ortega is coming to Vancouver! These are the 5 acts of Shiva. All of them are happening all the time, everywhere. This week they happened in a very impactful and resounding way throughout the Anusara Yoga community of which I am a member. 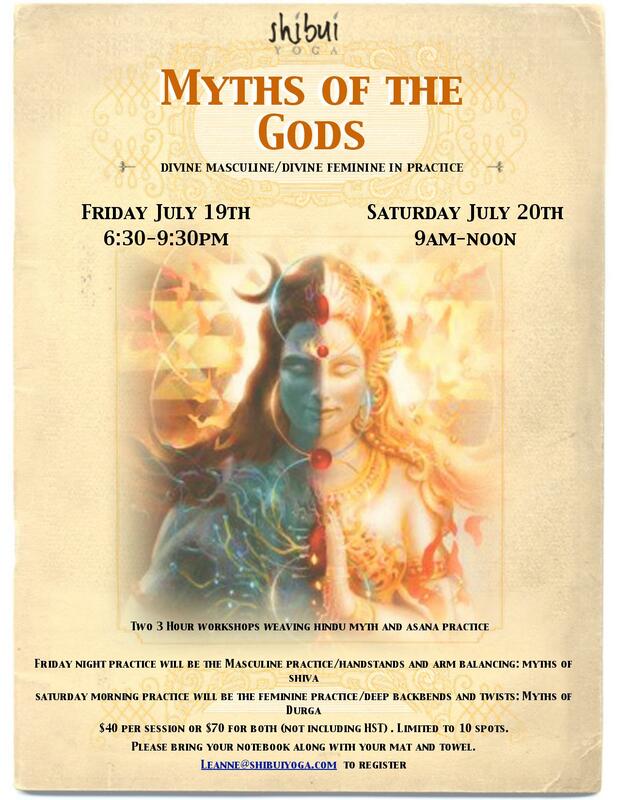 Our teacher and founder of Anusara Yoga, John Friend, has been accused of and admitted to, behavior that is not in alignment with the Ethics and guidelines of Anusara. I learned one hour before I was about to teach Monday night that literally all hell had broke loose~ and my teacher , who I held in the deepest respect and great esteem, suddenly was shown to have clay feet. I could wax on about what he did, but honestly, I don’t really care. John is a brilliant man and the method he synthesized is the best I have ever taught, practiced or experienced. I am also very much a liberal and you can do what you want in your private life, as long as it doesn’t hurt others and it’s not unethical to the standards of which you hold yourself and others. I hate hypocrites. But I mean really… smoking weed??? It’s almost legal where I live! Unfortunately the issue is that John denied the behavior or hid the behavior from the community at large, which has now been to the detriment of all those associated with the method. He was not ” walking his talk” and that has created a large “disconnect” in a method that tries at its heart to create connection- to our own hearts, to the pulsation of nature around us and to the Absolute. We know when we are “disconnected” because there is this uncomfortable unsatisfactory feeling of rubbing up against something that creates a friction, a pain, a suffering. Part of this is truly God given as it causes us to then change the behaviour, the thinking, the heart- to move back into connection. This is part of the Dance of Shiva- the dance of life. We conceal our hearts and create illusions of what is the truth and then these creations of the ego become unable to sustain themselves and they crumble back into their component parts. The heart is still there- it is indestructible: but we continually go through this process of concealment and revelation, creation and destruction, as a cycle of manifested life. We dance the life of shadows and light until we die. The true yogi still dances, but there is an abiding stillness that remains at the center- at the heart. The Dance of Shiva contains – “sthiti” – preservation; the leg that stands upon the demon of ignorance as it wiggles to get free. Can you stand in the chaos of this dance of life and not get swept away- lost in the chaos- thrown off balance to let the demon arise? 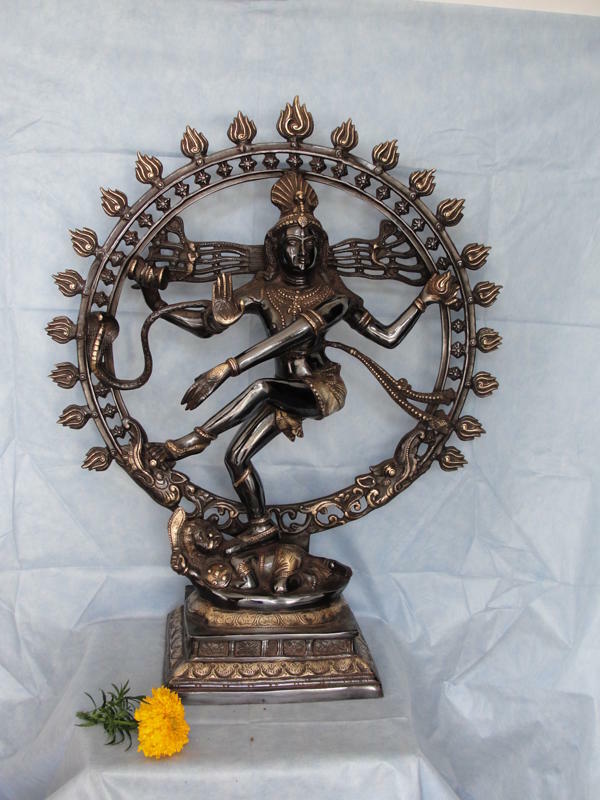 This is what the yogi- in the form of Nataraja- represents. The yogi sees through the illusions, stands in the wildness and yet remains in a meditative state in the heart. Grace helps hold them there. Awakening to the wisdom that this is the cycle and this is your dharma does not allow you to waver- the foot remains firmly rooted out of profound love. Grace is the power that holds the heart to the highest- even when life can be at it’s lowest. what will we create out of destruction? 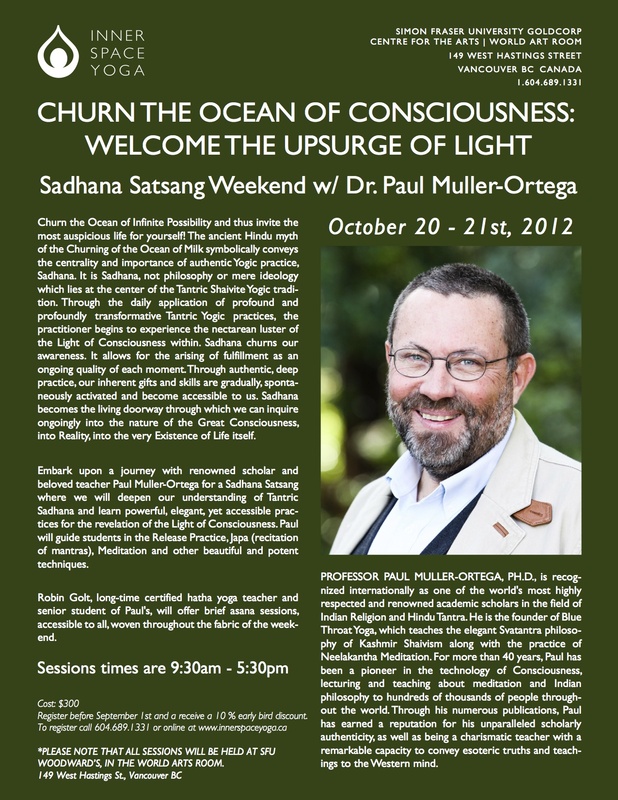 Paul gave a beautiful set of talks and practices over our 4 days together. He drops words like” profundity” as if he was saying “apple”~ amazing lecturer and one of the most intelligent beings I have ever met- yet incredible sweet and accessible. Nectar and fire most definitely. Though there were so many resonant teachings offered over the fours days one of the phrases that Paul said went off like a bell that has yet to stop ringing: – “Eventually , as Seekers, we must become Finders”. In my own thoughts I have pondered these words since I have returned. So, what is a Seeker? A Seeker, in my my own words, is one who has questions- big questions. “Why am I here?” “What is my purpose?” ” How can I find happiness?” “Why do bad things happen to good people?” – there are a million others but you get the idea when I say big questions. In fact, I can actually say that just by reading my blog right now you are a Seeker. We all seek clarity, meaning, and understanding at some level and many of us go actually looking for it- you are probably one of them. 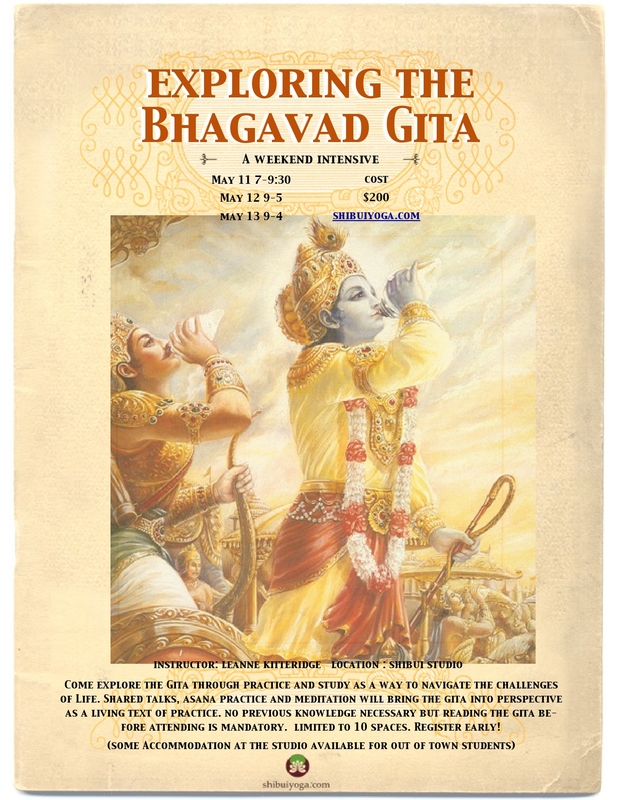 If we follow the philosophies that inform Anusara Yoga, then we would say to find the answers, to become the Finder, we must do two things: recognize that the answers are actually inside of us ( Om namah shivaya gurave) and have a map, teacher or technique for the journey. I know that many realized beings have gone from Seeker to Finder without these things but for most of us we do need some help. ( or more specifically, I needed help). There are many maps and techniques to go from Seeker to Finder. Paul’s technique is meditation, Anusara Yoga’s technique is the UPA’s ( Universal Principles of Alignment), and there are many other tools, techniques, and teachers out there- all valid and all eventually taking us to where the answers can be found inside of us. I taught this theme all week using the UPA’s. Patience as the heart theme with 1st principle- Set the Foundation and Open to Grace- as the main UPA to emphasize. So let’s go on the journey from Seeker to Finder through the UPA’s! For any journey we set out on, we have to prepare. Setting our foundation is preparation for how, with what quality, we want to move forward on the path. Rather than being just a physical setting of the foundation it is an embodiment of saying ” I want to know- I want to become the Finder”. Opening to Grace then becomes the soft sweet opening of your connection to the realization that the journey is one of ongoing revelation. Passing through the layers of ourselves that block us from finding the answers that are right there inside. Invoking Grace in our journey allows her revelatory power to melt and dissolve the veils that hinder us from going deep inside- to the deepest connection of the heart where the Finder seeks answers. It is a journey of patience. As we draw in to the focal points with our outter gross body, we are also drawing deeper into the subtle body- adding our own desire to know, to understand ( iccha) to help to penetrate through the veils. How much do you hug in? As much as your desire to find the answers to these deep questions. We add our own efforts to the power of Grace. We move once again deeper into the back body- the place where Grace enters us from. We continue to harness her revelatory power as we continue deeper into the journey. We move slow and with great sensitivity as we travel together deep into our heart- the place where the answers reside. We had more fire and light to the journey as the ever more subtle layers we move through become more difficult to navigate. Our desire to Find once again reignites our heart as we root our tailbone. Expanding out from the focal point in all directions- we create the optimal revelatory space for the answers to flow freely out of our hearts. As we breathe and continue to hug in and expand out on the exhales- we further clear the veils and the revelatory aspect of practice becomes fully embodied. I found it interesting how easily the UPA’s fit this phrase. Sometimes, when I theme, it can be a difficult linking of thoughts, feeling and actions to make my theme and the physical class truly one but this was almost like the shakti just poured herself out over the paper. It shows how well these teachings from both John and Paul are developed as they dance together to make such a beautiful class. I would have to say that I am still a Seeker- but I am also a Finder. If I look back over my 7 years with Anusara, I can honestly say I have found some of the answers to those profound questions I came to the practice with. I still have questions though~ how wonderful to have teachers, practices and techniques to help me reveal them.